Melbourne pianist and composer Stefan Cassomenos is one of Australia’s most vibrant and versatile musicians. He has been performing internationally since the age of 10, and with over 20 years’ experience representing Australia on the world stage, is now established as one of Australia’s leading pianists. Cassomenos gave the world premiere of his own Piano Concerto No 1 with the Adelaide Symphony Orchestra in 2001 at the age of 16. His concerto repertoire now exceeds thirty works, and has led to engagements with the Beethoven Orchestra Bonn, Malta Philharmonic Orchestra, Queensland Symphony Orchestra, Melbourne Symphony Orchestra, Orchestra Victoria, and Melbourne Chamber Orchestra. 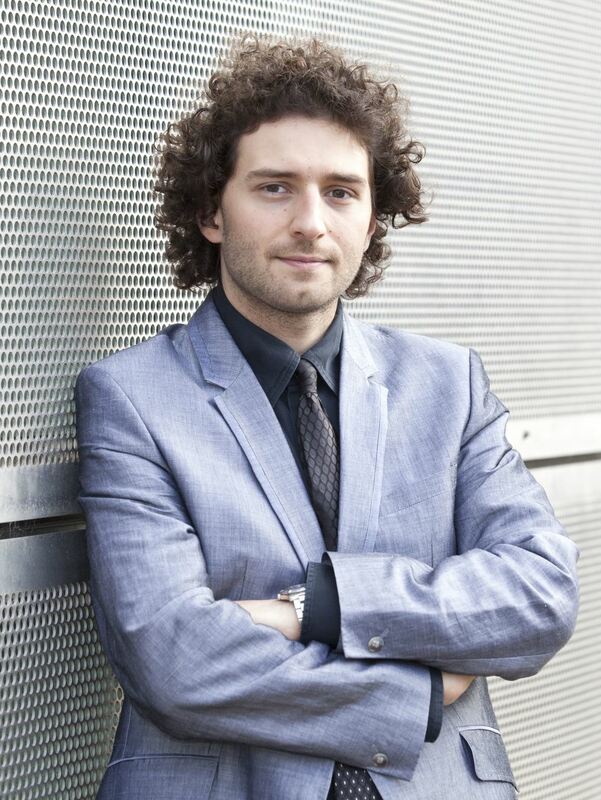 In 2013, Cassomenos was a grand finalist and recipient of both the Second Grand Prize and the Chamber Music Prize in the prestigious International Telekom Beethoven Piano Competition Bonn (Germany), and he has been a grand finalist and prize winner in various other competitions, including the 2012 Rhodes International Piano Competition, the 2013 Lev Vlassenko Piano Competition, the 2013 ABC Symphony Australia Young Performer Awards, the 2009 Melbourne Asia-Pacific Chamber Music Competition, and the 2009 Trieste International Chamber Music Competition. Cassomenos has regularly given solo recitals at a wide range of international venues and festivals, including Tonhalle Zurich, Gewandhaus Leipzig, Beethoven Festival Bonn, Shanghai Oriental Arts Centre, Bunkamura Orchard Hall Tokyo, and Junge Stars der Klassik Kirchheimbolanden. Cassomenos has performed for the Yamaha Music Foundation throughout Japan and Thailand, and for the United Nations Children’s Fund (UNICEF) in Tokyo. He now performs regularly in Australia, Germany and the UK. Cassomenos is in great demand as a chamber musician, performing regularly as a member of Melbourne Symphony Orchestra’s Chamber Series, and at various Australian venues and festivals. Cassomenos has founded several successful chamber ensembles including most recently, contemporary chamber ensemble PLEXUS with violinist Monica Curro and clarinetist Philip Arkinstall, which since launching in 2014 has commissioned over 100 composers and given over 80 world premieres. Born in 1985 in Melbourne, Stefan studied with Margarita Krupina, Stephen McIntyre, Ian Munro and Michael Kieran Harvey. He began his studying music at the age of four at Yamaha Music School, and completed his Bachelor of Music (Honours) on full scholarship at the University of Melbourne, majoring in Performance. He also undertook the Advanced Performance Program on full scholarship at the Australian National Academy of Music. Cassomenos began writing music at age seven, and had his music performed by major Australian symphony orchestras as a teenager. His Piano Concerto No 3 was premiered in 2010 at the Melbourne Recital Centre, and his critically acclaimed Double Violin Concerto (2012) has been performed around Australia by three different ensembles, with violin soloists Monica Curro and Sarah Curro. Hieratikon (2012) was commissioned and performed by the Royal Melbourne Philharmonic Choir on their 2012 ‘Icons’ Victoria Tour. Awards and accolades for composition include Composer-in-Residence for three years running at the Creative Innovation Conference 2010–12, the 2012 Lyrebird Music Society commission, the 2012 Young Achievement Award from the Hellenic Australian Chamber of Commerce and Industry, and various awards through the Yamaha Music Foundation. Cassomenos was the first Australian composer to be commissioned as part of “250 Piano Pieces for Beethoven”, an international composition project initiated by German pianist Susanne Kessel marking Beethoven’s 250th anniversary in 2020, culminating in a world premiere season in Bonn and Hamburg, and publishing through Editions Musica Ferrum. In 2015, his Requiem for the End of Time was premiered at Federation Square in Melbourne by the Royal Melbourne Philharmonic Choir and PLEXUS. His Concerto for Two Pianos & Orchestra (2018) recently received its world premiere in Thessaloniki, Greece. His new chamber opera Herodias was commissioned by Victorian Opera , and will be premiered as part of their 2019 season. Cassomenos began conducting in 2006, and has since held various positions including Chief Conductor of the Percy Grainger Youth Orchestra for 2010-11, Chief Conductor of the Chamber Strings of Melbourne for 2011, and Director of the ‘Our Community Sings’ Ashburton Choir for 2011. He has also led-directed ensembles for the Australian National Academy of Music, Orchestra 21, Perth International Arts Festival, and Port Fairy Spring Music Festival. In 2011 he was invited to undertake several modules of the Symphony Services International Conductor Development Program, working closely with mentors Christopher Seaman, Sebastian Lang-Lessing and the Tasmanian Symphony Orchestra. He is currently sought after as a choir director and educational conductor, and continues to conduct regularly and lead-direct his own music for performances and recordings. Stefan Cassomenos has several years’ experience as an artistic director, curator and organiser of various concerts, festivals, collaborations, music series and cultural events. As the Artistic Director of the highly successful 2007 Melba Festival of the Yarra Valley, Cassomenos programmed 16 concerts over three days, with over 30 artists and ensembles at various venues including Domaine Chandon and TarraWarra Museum of Art. The acclaimed program consisted of classical and contemporary ensemble repertoire as well as orchestral and choral music, jazz, opera, street events, and open air performances. With the Yarra Trio (2007–9), Cassomenos co-created and co-directed educational programs culminating in numerous children’s concerts at schools across regional Victoria, particularly where students had minimal access to classical music. In 2009, Cassomenos took over from Stephen McIntyre as Guest Artistic Director of Melbourne’s Piano Landmarks Festival, a program of four major concerts and three impromptu events held in one day, featuring 15 pianists from around Australia, and presented successful festivals in consecutive years. In 2012, Cassomenos was Music Director for the 2012 Kaldor Public Art Project entitled Stop, Repair, Prepare, fulfilling an artistic management role including selection, auditioning and training of a number of pianists over several months, and co-ordinating rehearsal and event schedules for 152 performances in the State Library of Victoria for the 17-day event. Cassomenos has been a founding co-director of contemporary chamber ensemble PLEXUS since its formation in 2014. Together with his colleagues Monica Curro and Philip Arkinstall, he has commissioned over 100 composers, organised over 40 concerts, and has overseen an extensive philanthropic program which has so far raised $80,000 from private sources in support of new music and collaborations. Cassomenos and violinist Monica Curro have recently been announced as Artistic Directors of the Port Fairy Spring Music Festival from 2019. Stefan is generously supported by Kawai Australia.